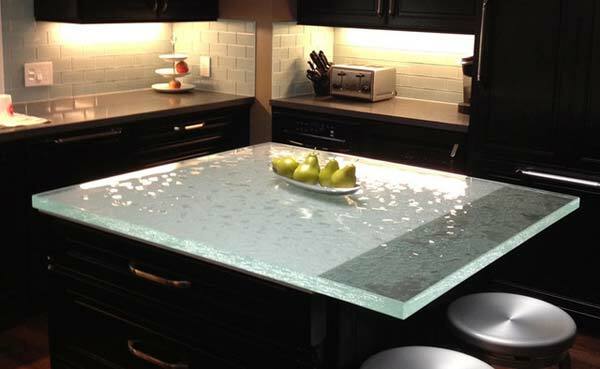 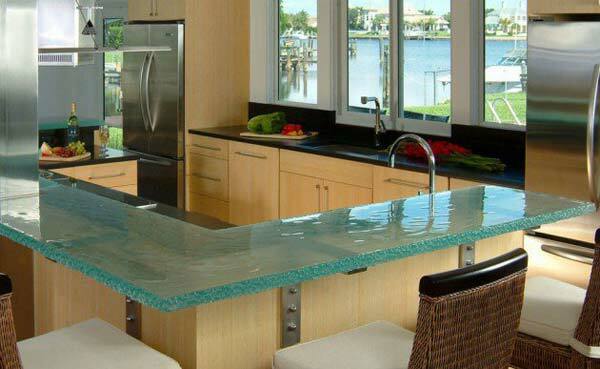 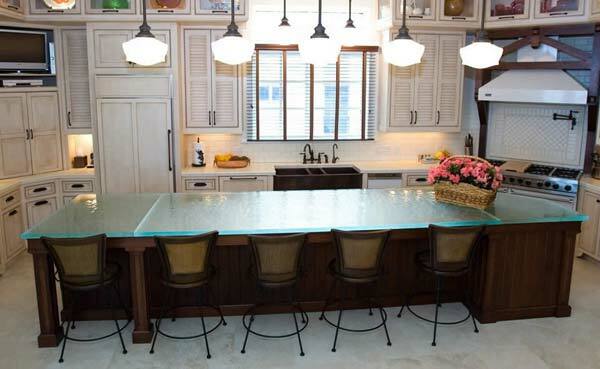 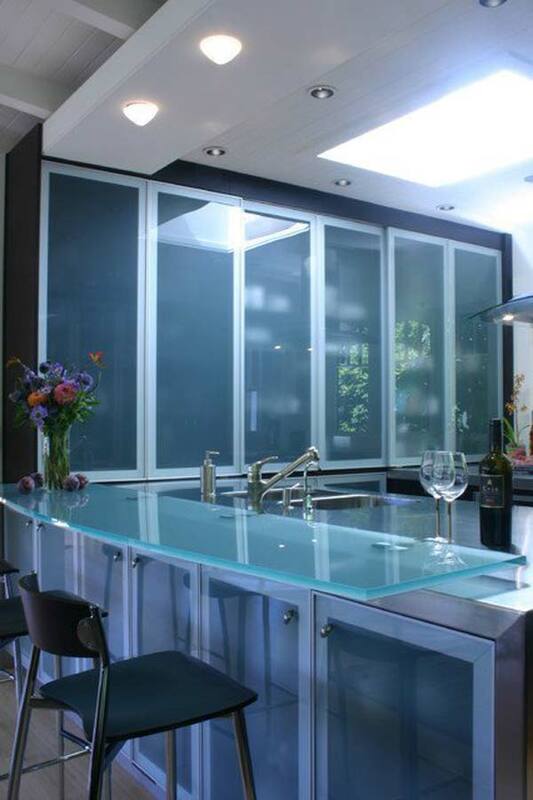 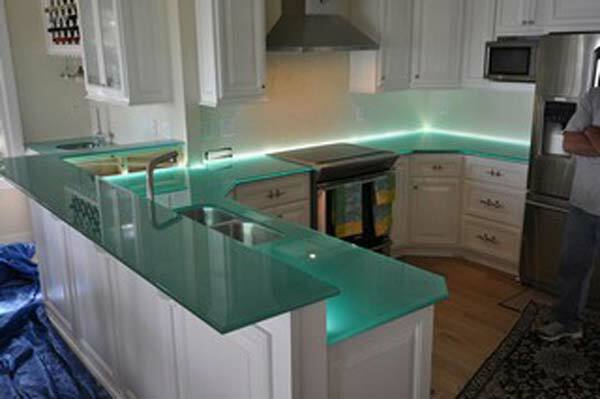 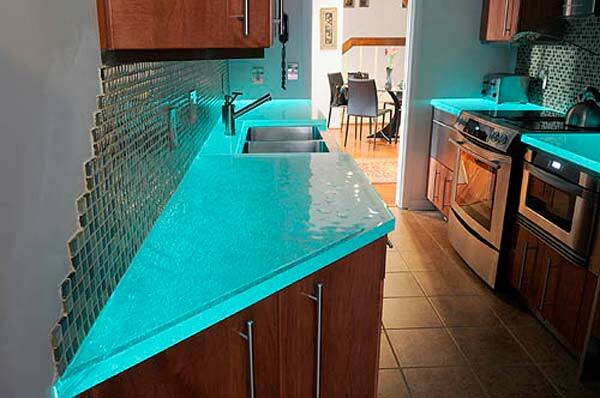 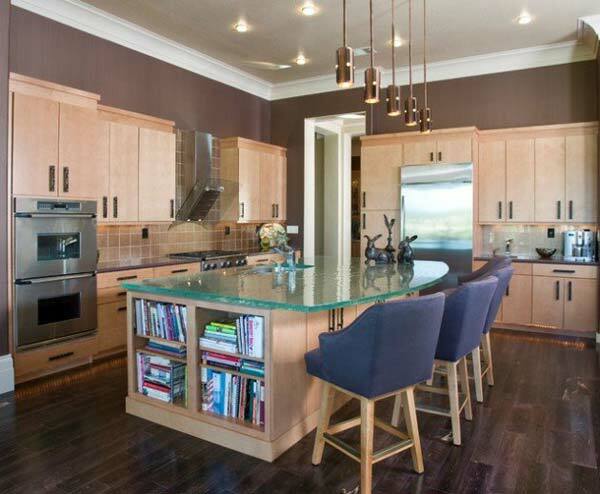 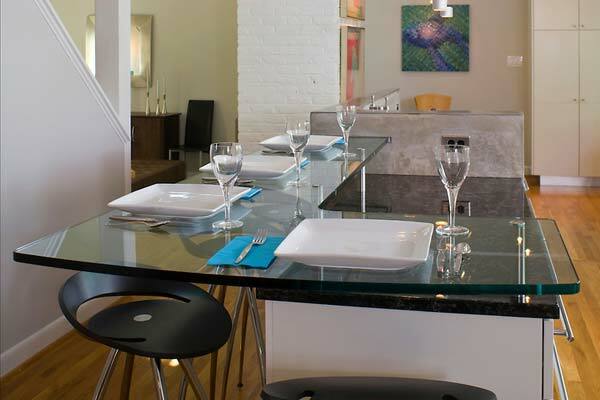 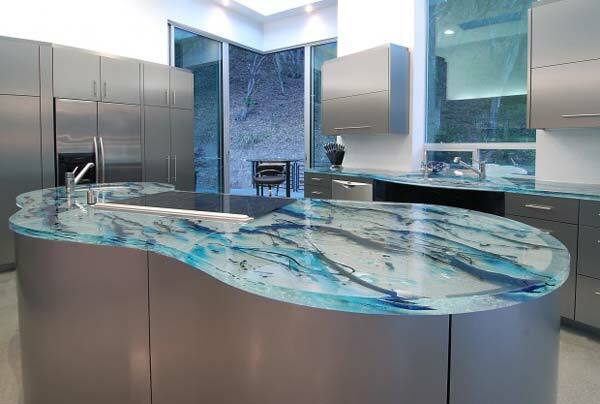 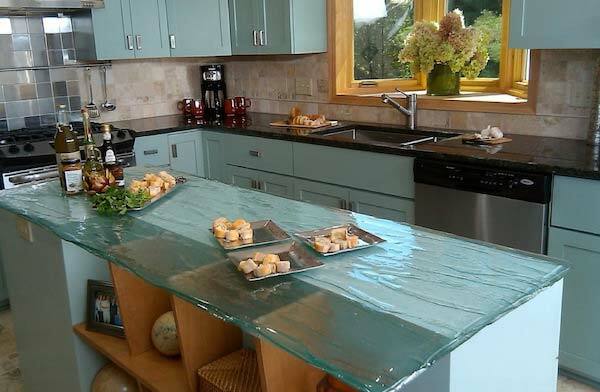 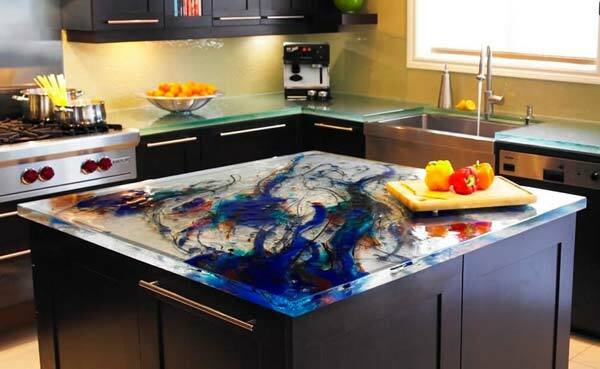 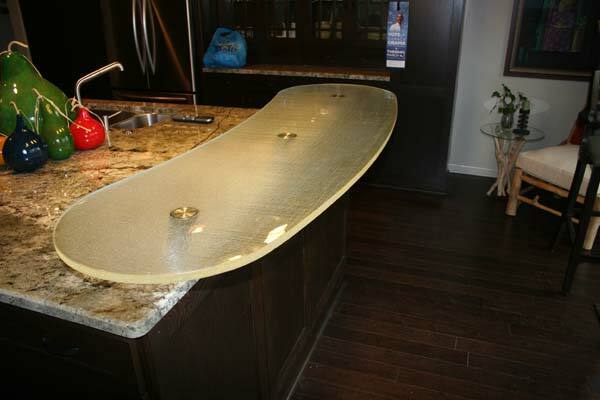 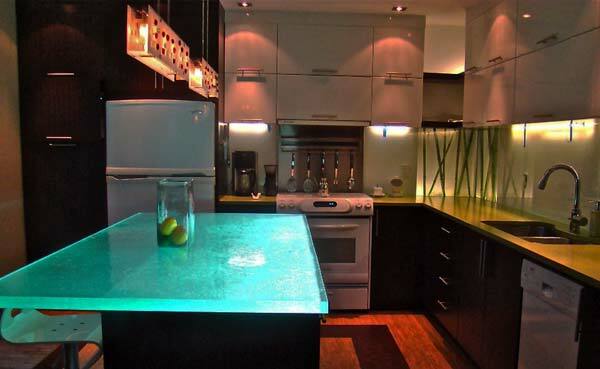 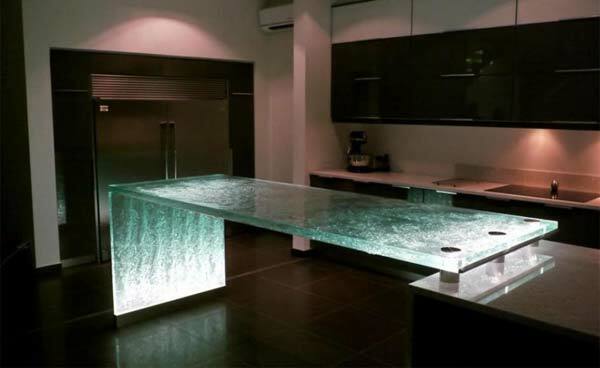 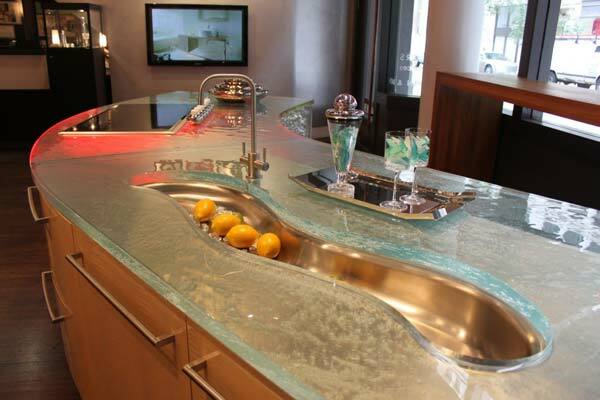 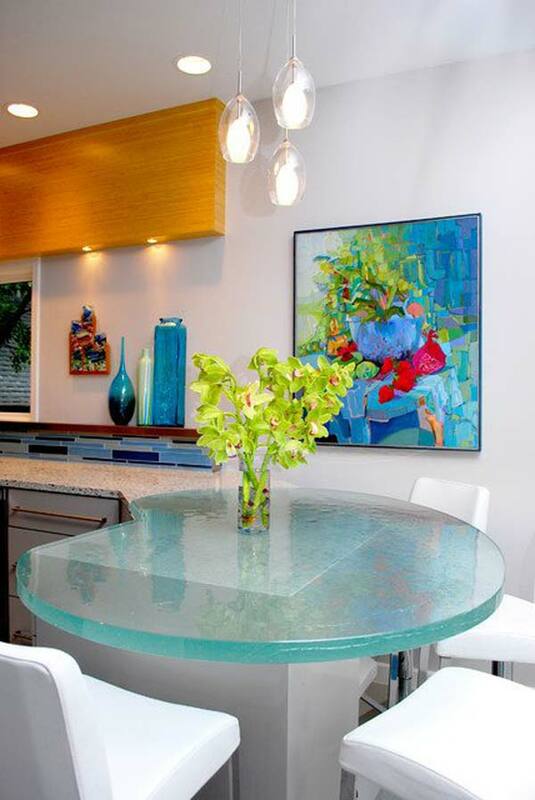 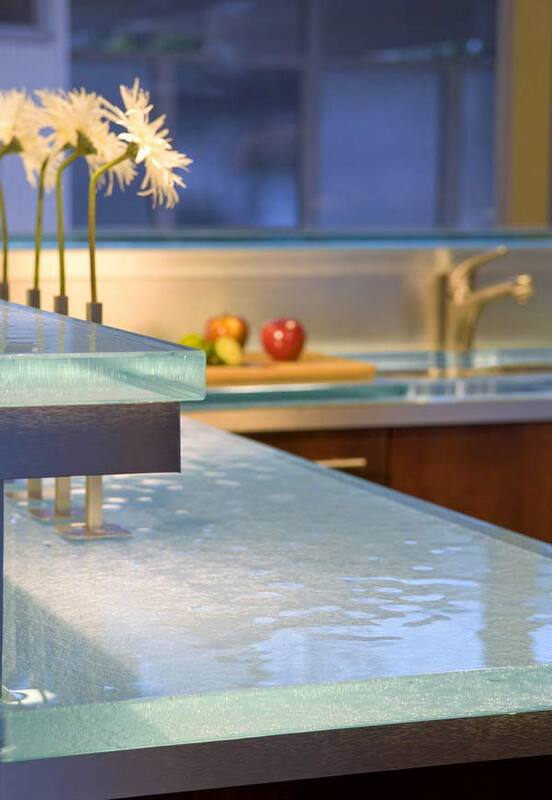 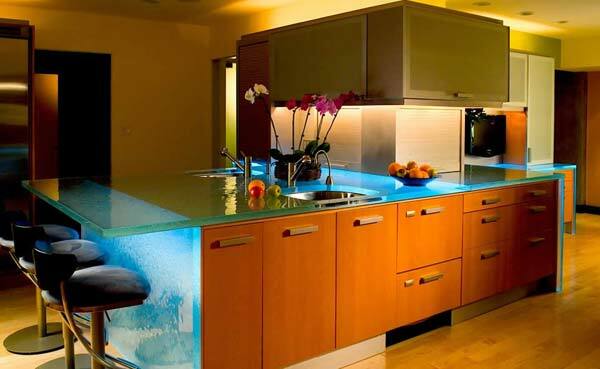 Modern and stylish glass countertops is a brilliant way to improve the look of your kitchen. 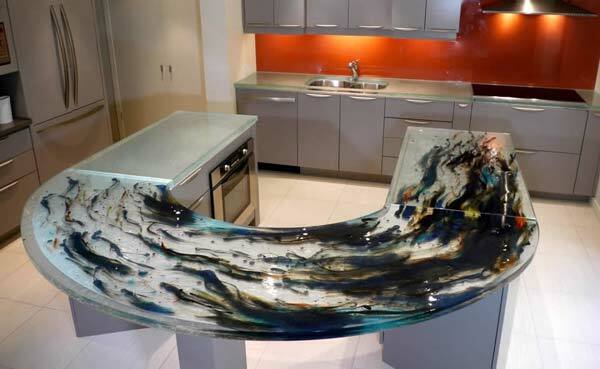 They are eye-catching and remarkably beautiful, and sure to make your kitchen more modern and unique. 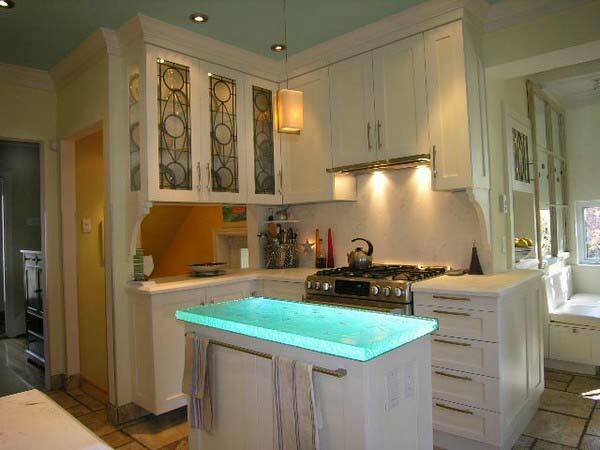 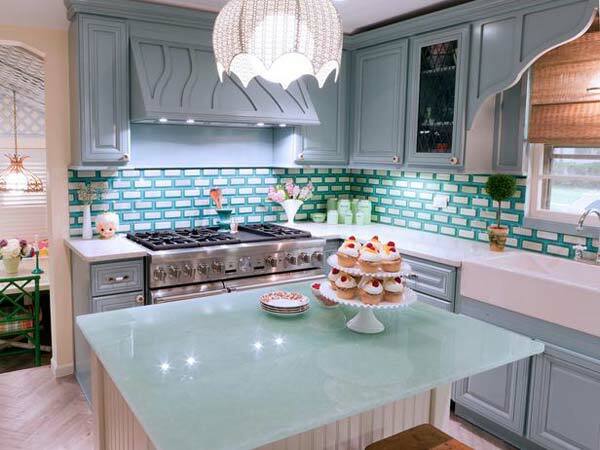 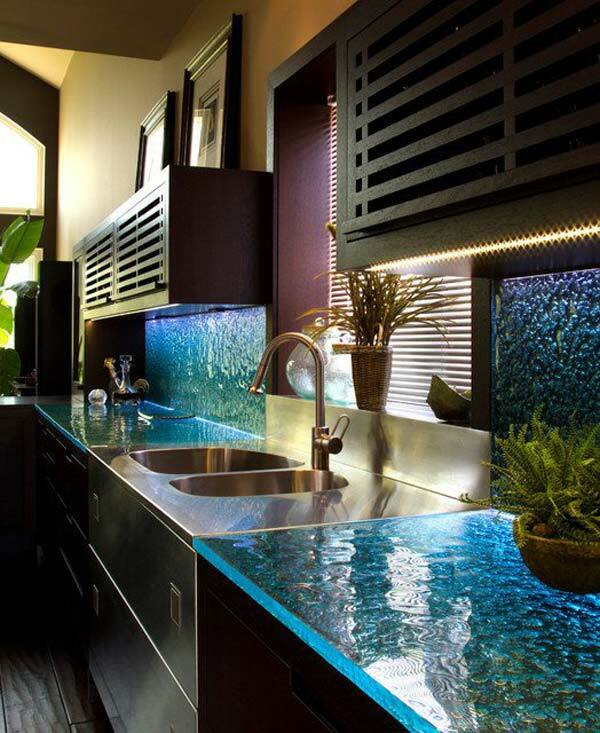 They also allow to add gorgeous decoration patterns and colorful lighting to kitchen design, so beautiful!